. Who is working with your children? Tanya Evers was born and raised in Wilmington, NC! Tanya graduated from New Hanover High School and attended Cape Fear Community College for 2 1/2 years inspiring to major in Elementary Education. However her path changed direction and DanZQuest Dance Studio evolved. Tanya has an 19 year old daughter, Taylor who attends East Carolina University. Tanya has been dancing since the age of 7 and has a background in tap, jazz, ballet and clogging. She has competed in competitions her whole life. Being a member of the Cripple Creek Cloggers competitive team in Burgaw, NC was where she found her desire to focus on clogging, in hopes of teaching clogging one day. Tanya taught dance at two studios in Wilmington for 8 years then she decided it was time to open DanZQuest! Tanya wanted to open a studio where dance and family could be one. So DanZQuest opened it doors in 2002, a studio "Where Dance and Family are ONE"! In 2006 Tanya was inducted into the All American Clogging Hall of Fame Team in Maggie Valley, NC. In 2010 Tanya was inducted into the ALL American Clogging Decade Team in Maggie Valley, NC. Her love and passion is for the clogging program but she PROMOTES all forms of dance. Tanya has been a clogging competition teacher for the past 24 years and her choreography has won "Top" overall group awards, "Highest score of the day awards, special awards, multiple diamond, high platinum, and "Top" teacher awards, Apogee award, Entertainment/choregraphy award and Judges' choice awards. Tanya'a choregraphy was also performed in Walt Disney World. Tanya is the owner and founder of DanZQuest! DanZQuest will start its 17th season in September 2018! Meagan Hutchings is a graduate of Western Carolina University in Cullowhee, N.C. with a Bachelor of Arts in Public Relations and a Minor Dance Education. She has 27 years of dance experience in tap, modern/lyrical ballet, jazz hip hop and pointe with 13 years of competition experience. Meagan has been teaching at DanZQuest for 12 years. She currently teaches competitive classes in tap, jazz, ballet, modern/lyrical and is head of our ballet program. Meagan's love is ballet where she has been recongnized for her choreography at regional competitions. Meagan has also won several "Top" teacher awards, diamond, high platinum, award for her choreography, entertainment awards and over all awards. Nic Fennell was born and raise Wilmington, NC and is currently studing to be a nurse. He has been dancing since he was five years old and has experience in hip hop, ballroom dancing and modern. He competed for a few years before he decided his competition days were over. His love for dance has brought him back to the studio where he is teaching the recreational and competitive hip hop program. Nic's choreography was won diamond, high platinum, platinum and high gold! Nic's philosophy and belief is that everyone can learn to dance! 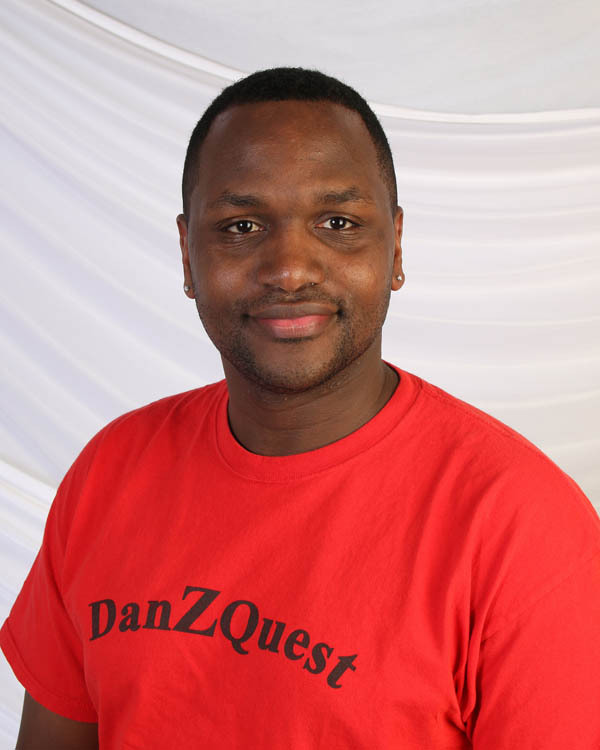 Nic has been teaching at DanZQuest for 10 years. Nic is recently engaged to Michelle and they plan to marry in the Spring of 2019. Hannah Russo has been dancing since the age of 2 years old and has taken tap, jazz and clogging. Hannah has been a competitive clogger since the age of 5 years old and has competed in group dances, production and has been a soloist as well. 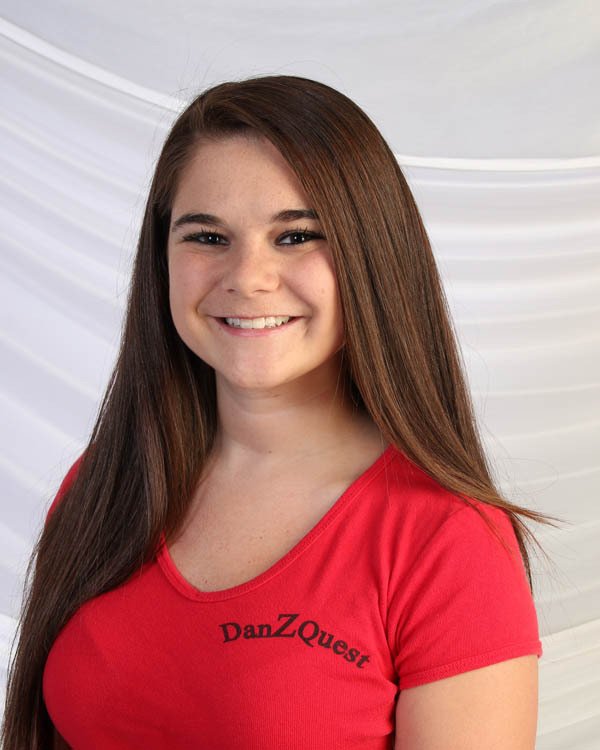 Hannah has been a memeber of the DanZQuest competitive clogging team for 14 years. This will be Hannah 3nd season working with the elementary children in the gymnastics program, clogging and tap/creative movement at DanZQuest. 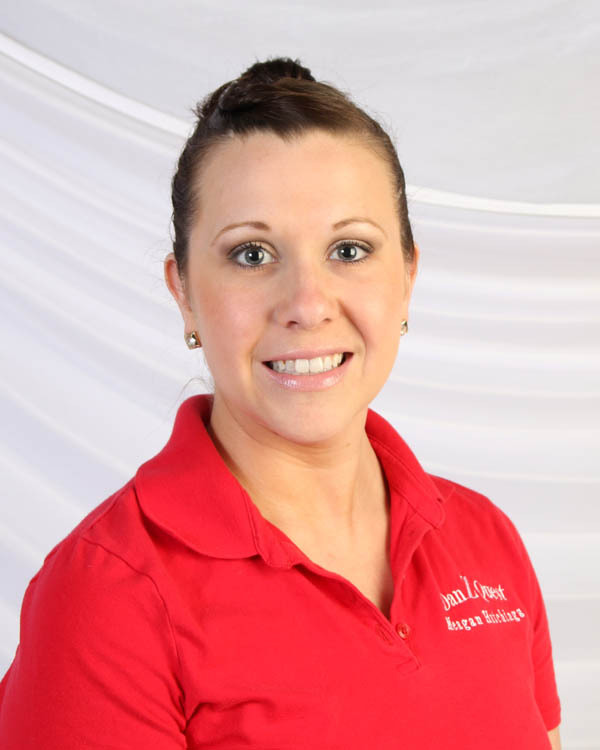 Krissy McLain was born and raised in Wilmington, NC but currently resides in Leland, NC. Krissy is employed at Ashley Homestore as the office manager. She has four dogs and a cat who are her world. Krissy has been dancing since the age of 5 years old and it is her passion. DanZQuest was Krissy dance home for many years as a dancer on several competitive teams. 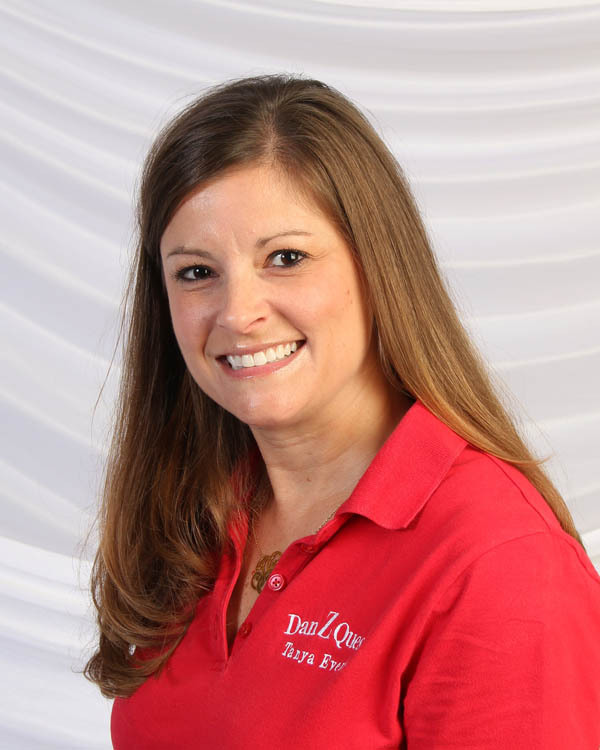 Krissy is excited to be returning to DanZQuest to teach and share her love of dance with the children.